We always stop in here during the Blues Fest four a Philly Cheese steak. We've never been disappointed. Awesome sandwich restaurant! The meat is always prepared fresh. If you get the combo with fries and a drink, it's actually very hard to finish. I always pop by this place for lunch. 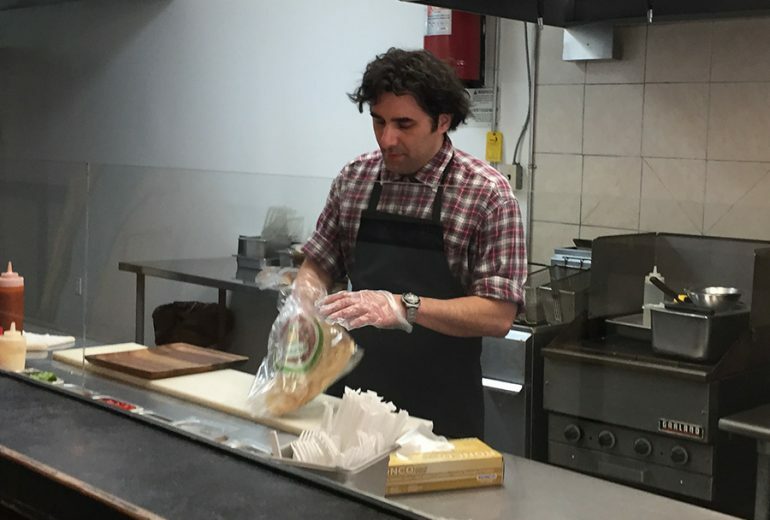 Matthew (owner) is super friendly and goes out of his way to make sure you have a great experience. Overall, one of my favourite sandwich places to go to in Kitchener. Great veggie sandwich and onion rings. Matthew (the owner) is an incredibly friendly dude. a week ago This restaurant is THE!!!! best! The meat melts in your mouth!!!!!! The Angus steak with mushrooms and peppers with melted cheese added at just the right time, is cooked right in front of you it is - quality quality quality! The other items like the chicken or shrimp or gyro are also really good! Everything is fresh. Don't miss out on this terrific tasty food-loving, delicious place! I mean it!!!!! Matthew is an amazing cook and person. He is friendly and makes great food. Has always taken an interest in our lives. Been coming here for 8 years and won't stop. 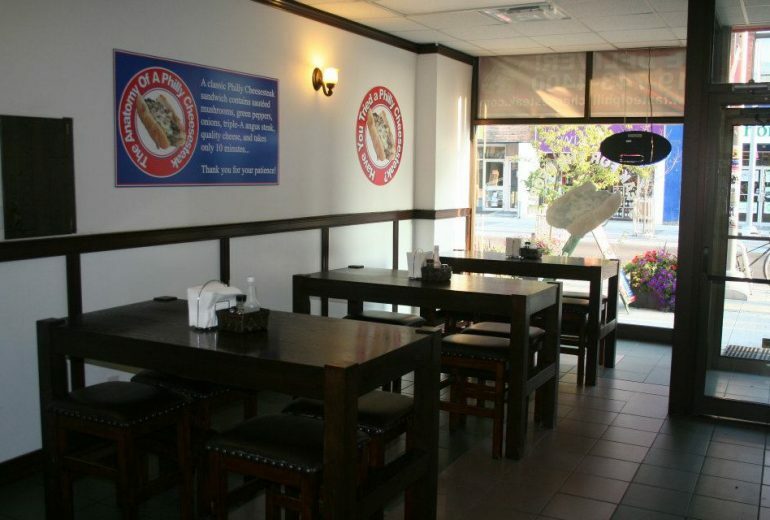 We are the first and only true Philly Cheesesteak shop in Canada and are committed to quality! 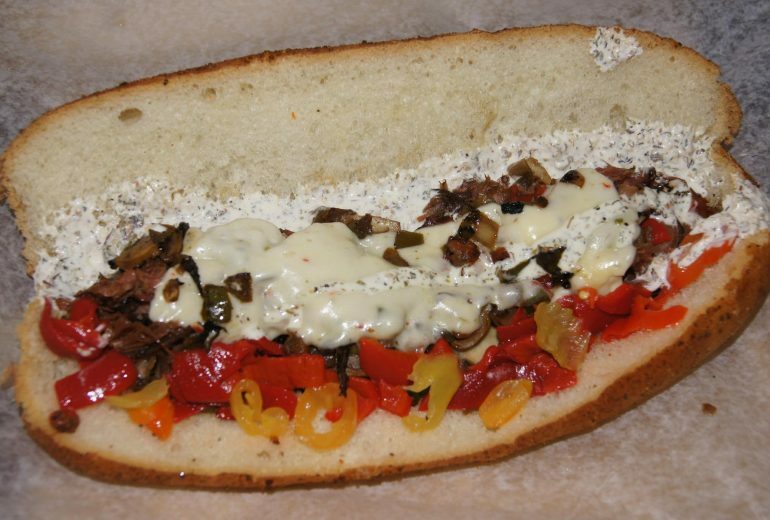 Other restaurants have tried to imitate the making of true cheesesteak by shaving or marinating low grades of beef roasts, using processed cheese, store bought Buns even canned mushrooms to cut cost. Your meal is prepared right in front of you when you order. you get to see your meal prepared fresh, never reheated, or precooked. Wait in line and watch the chief, or relax in clean cozy dining area while we do the work. Our shop is kept clean at all times, scrubbed down and disinfected every night before close. Employees must wash there hands after touching raw meat money or anything not sanitary. Sterile disposable gloves are used when topping up meals before they are served to you. Washrooms are kept impeccably clean at all times and inspected frequently. We do not serve anything that we wouldn’t eat ourselves.